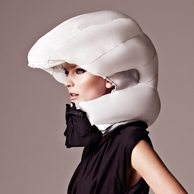 Hövding is a revolutionary bicycle helmet, a new innovation designed for the modern cyclist. Not only one of the safest helmets on the market, but also a discrete chameleon that easily becomes part of your outfit using the changeable shell. Unlike other cycle helmets, Hövding is worn as a collar around your neck. 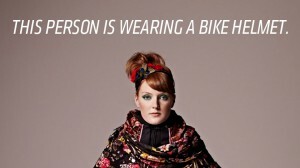 The collar contains an airbag that will inflate and protect the head in the event of an accident. Compared to ordinary cycle helmets, Hövding provides the best shock absorption in the world. Spam-Schutz (erforderlich): Summe von 1 + 5 ?